Stunned Utah bride discovers her dress was paid for, in full. camera (Courtesy Bryce Gillespie) Liz Jensen, pictured with fiance Jimmy Gillespie, was surprised to find that a stranger paid for her wedding gown. Liz Jensen and Jimmy Gillespie's love story is something straight out of a fairy tale. But there's more than their marriage proposal that'll bring tears to your eyes. 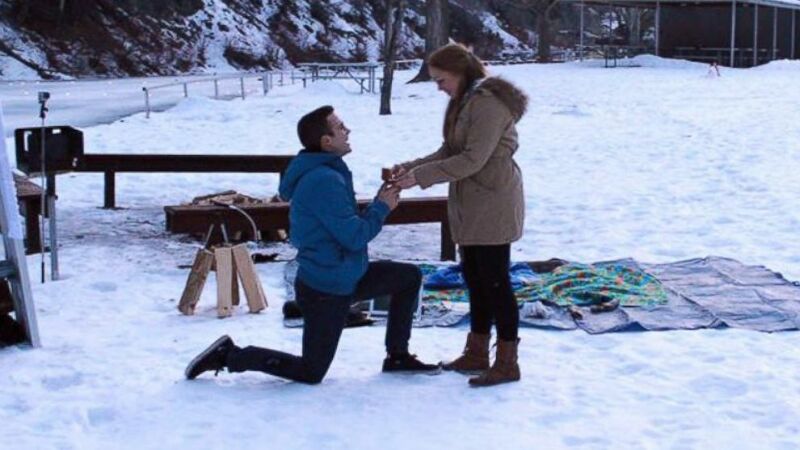 "My fiance proposed Jan. 25 in Vivian Park," Jensen of Provo, Utah, said. "We went ice skating, we built a snowman, and he said, 'I have a short film I want to show you.’ At the end there was a clip of my sister saying, 'I believe Jimmy has a question for you right now,' and the video cut out. That's when I saw him [Jimmy] down on one knee." Jensen, 21, happily said yes and the two began planning their May 1 nuptials, unaware that a complete stranger would soon be playing a part. "I went last Friday to go look at wedding dresses at a pop-up shop," she said. "I actually ended up going alone and was trying to get opinions from other people in the store. I was really having a lot of fun and then I put on ‘the’ dress. Right when I put it on, I said, ‘OK, this is the one.’ It was perfect, so I went around to the front to pay for it." But before Jensen could even pull out her wallet, another bride-to-be had already picked up the tab, Carrie Ling, who's a co-owner of the shop Elizabeth Cooper Design, told ABC News. "I think she planned this from the get-go," she said. "She came in tried on a couple of gowns and I asked, 'You didn’t like anything today?' And she said, 'Actually, I'd like to pay for one of their gowns.'" "So, she pointed to Liz and said, 'I think I’ll pick her,'” she recalled. "She wanted to be anonymous and that was all that went into it. We rang her up and she left." (Courtesy Jimmy Gillespie) Jimmy Gillespie proposes to Liz Jensen in Provo, Utah on Jan. 25, 2015. Ling informed Jensen of the exciting news: that a complete stranger had paid for her $465 wedding gown in full. "In my mind I thought, 'That happens at the drive-thru at McDonald's, that doesn’t happen with a wedding dress," Jensen said, laughing. "I was just so incredibly touched. To have that person who can look inside themselves to do something nice for someone else, it's something I'll never forget for sure." 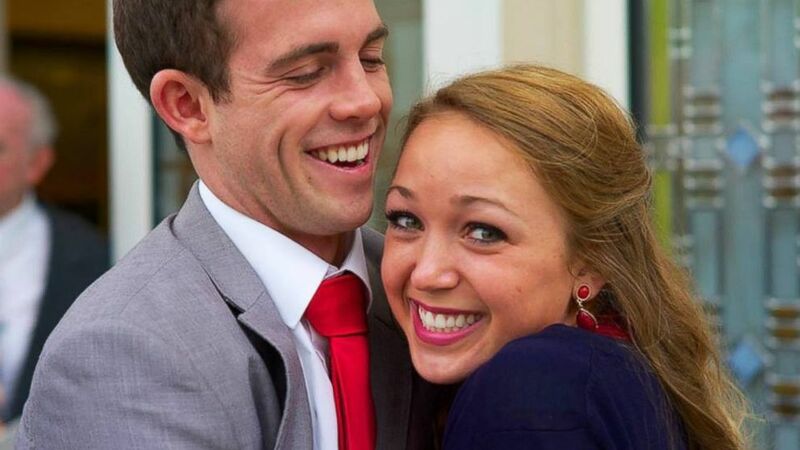 The young couple, who met their freshman year at Brigham Young University in Provo, plans to use this experience to personalize their wedding reception. "We want to have our marriage built upon that principle of giving to other people," Jensen said. "We want to have the news clip of our wedding dress story and a table set up where guests will pledge to be kind and do a service for someone else."